Out of all of the appliances in your house, your toilet is probably one that you always want to work properly. Unfortunately, no appliance is invincible and you may find yourself facing a problem with your toilet. So, what do you do when your toilet is out of commission? 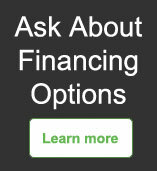 Well, let’s discuss a few problems that would warrant professional toilet repair services. The toilet is leaking: You walk into your bathroom only to find a puddle of water surrounding your toilet. This is not a good sign and should be taken care of immediately. If you notice a crack in the toilet tank or bowl, you could be experiencing significant problems with water efficiency. And not to mention the damage the water can do to your floor. So if you notice your toilet is leaking and can’t find any obvious causes, call a local plumber as soon as possible. If you wait, you could risk having damage to your floors and not having a working toilet for a few days. The toilet won’t stop running: Did you know that when a toilet won’t stop running it can leak more than 200 gallons of water each day? So if your toilet won’t stop running, it can be a good idea to disconnect the water from the toilet to prevent wasting more water than necessary. After the water is disconnected, it’s time to call a plumbing service. A plumber will be able to check the tank and see if the connection between the flush handle and the rubber stopper is working properly or not, which is usually the cause of running toilets. 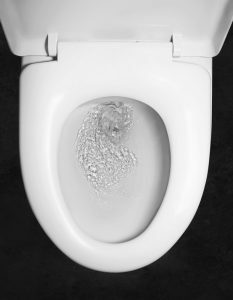 The toilet won’t flush: While clogs aren’t all that uncommon, if your toilet is repeatedly not flushing, there may be a bigger problem at hand. When your toilet won’t flush properly, it’s not only inconvenient, but it’s extremely inefficient. There are several reasons for a toilet not to flush, like a problem with the lift chain or water valve. Fortunately, a plumbing repair service will be able to conduct the necessary toilet repair to have it working good as new in no time. It can be extremely frustrating when your toilet isn’t working properly, especially if it’s the only one in the house. So save yourself a headache and call a plumber when things go awry with your toilet for quick and professional toilet repair.